All In a Year's Work, Including the "Brucies!" By many accounts 2009 was not a banner year. It definitely was not a banner year for the international car industry. Regardless, I managed to drive thirty-six new vehicles in calendar year 2009; twenty-one 2009 models and fifteen 2010s. For a guy writing for a weekly and his own internet site that is pretty darn good. Like many writers, web sites, and magazines I have decided to write a “best of” column. Unlike many of the others, I only included vehicles I drove for a full week. I could have based some of my impressions on cars I drove during the Western Automotive Journalists’ Media Days but I really do not get a full appreciation for a car in a ten or twenty minute drive. I also tend to take a vehicle’s history into account. I am a consumer as well as an enthusiast; I think about whether I would plunk down hard earned cash to buy a car or truck. I have to live with any car I buy for a long time, just like you. I like cars that excite me when I drive them and that do not nickel and dime me over the years. I like cars that need little maintenance and are reliable. 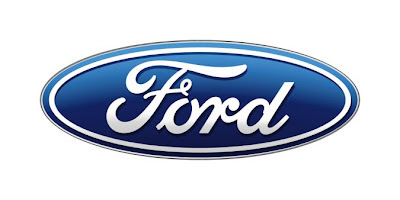 THE BEST CAR COMPANY – No doubt about it, the award has to go to Ford Motor Company. 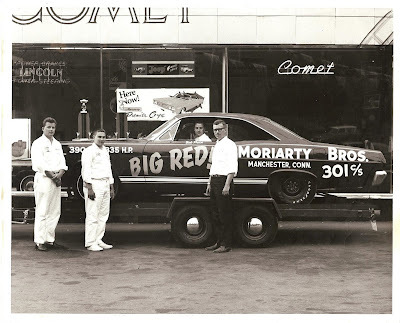 In some ways the award encompasses the past three or four years, starting with then CE0 William “Billy” Ford’s decision to step aside and hire an outsider, Alan Mullaly, to head the family business. Mr. Mullaly, in partnership with other excellent executives including Mark Fields, charted a path to profitability that began before the financial meltdown. Thanks to the smart/hard work of Ford executives, Ford Motor Company did not require any government bailout money nor did they declare bankruptcy. On top of all of that, Ford revamped their product line, introducing or planning to introduce a bunch of new vehicles to head into the next decade. 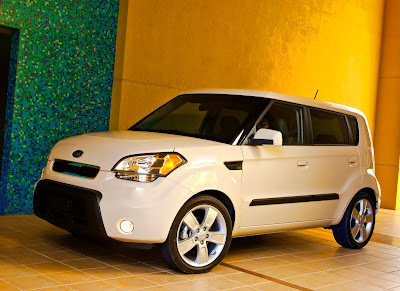 THE MOST FUN CAR – The Kia Soul. I just could not help smiling every time I walked up to the Soul because it smiled right back at me. The Soul is another of the little boxes and it really is not any better than the competition except it puts the fun back into driving an inexpensive (less than $18,000) vehicle. The box shape makes it useful although the rear door could be wider. The quality is superb and the warranty is either the best available or one of the best (the claims from the competition keep changing). I almost bought a Soul but my financial woes keep me in my old Toyota truck. THE MOST AMAZING FUEL ECONOMY – The Nissan 370Z did not return the best fuel economy but it did amaze me for its frugality. 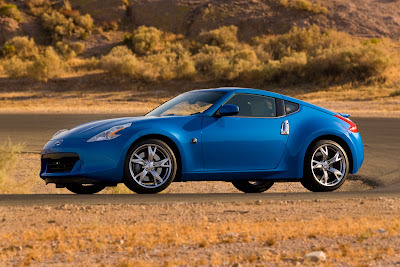 US EPA rates the 370Z at 26 mpg on the highway; I got an astounding 28 mpg on the highway. Twenty-eight miles per gallon from a car with 332 horsepower! Nissan I have no idea how you did this but I salute you. 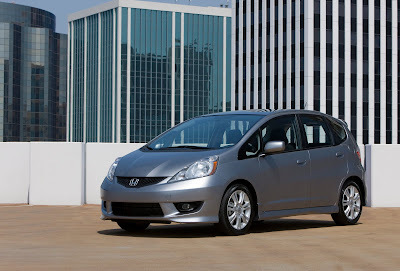 THE BEST FUEL ECONOMY – This year the winner is the Honda Fit. How can the Fit beat a hybrid? The Fit gave me forty-four miles per gallon versus the forty-two miles per gallon from the Honda Insight. Although not a direct comparison because they were driven under different conditions, I’ll take the Fit over the Insight any day; the Fit is less expensive and more fun to drive. THE MOST DISAPPOINTING CAR – Hands down winner has to be the Honda Accord Crosstour. What were they thinking? This overweight “crossover” is simply the wrong car. At over two tons, it is at least five hundred pounds overweight. Weight is the enemy of all things automotive – acceleration, handling, braking, evasive maneuvers, etc. To top it off, the Crosstour with its sloping rear roof line is not as roomy as the boxy crossovers. THE MOST USEFULL VEHICLE – You can have your pickup trucks and SUVs, give me a Honda Element, preferable a SC model. The Element looks a little awkward at first but its true beauty is its usefulness. The front doors open wide for easy access to the front seats; swing open the rear “suicide” doors and entry into either the rear seats or cargo stowage is a snap. One caution; make sure any front seat passengers are not buckled in before you open the rear doors (the front upper belt mount is on the rear door). THE MOST AMAZING TECHNOLOGY – For years we have been hearing about the benefits of turbo charging, how it will give economy and power. For years we have been waiting to see its benefit in something other than a sports oriented vehicle. Now Ford introduces EcoBoost and I am a believer. I drove a 2010 Ford Flex, a relatively large, boxy crossover. A Flex with a “normal” 3.5-liter V6 produces 262 hp; the EcoBoost jumps to 355! More amazing is that the EPA highway fuel economy is exactly the same – 22 mpg. EcoBoost is just one of the reasons that FoMoCo will be a force to be reckoned with for many, many years. 2009 Acura TL – Acura makes excellent cars with one of the best lineup of engines available anywhere. I just cannot warm to the styling and the alpha designations (RL, TL, etc) leave me confused. Still, I would feel proud to have just about any Acura in my driveway. 2009 Audi A4 3.2 – Okay, I’m not usually a fan of Audi but the A4 3.2 was a fine car. I still don’t like the way the brakes and accelerator feel but damn the car does go, stop and handle. 2009 Dodge Charger SRT8 – This is the closest I came to driving a Challenger. Seeing as they are built on the same underpinnings the feel should be about the same. The car, with the 425 hp, 6.1-liter Hemi V8 is one of the best V8s out there but overall the car feels like an anachronism. Anachronisms can be fun though, believe me. 2009 Dodge Journey – Sometimes I wonder if Chrysler engineers have actually spent time in competitors’ vehicles. The Journey is a competent vehicle but it feels cheap. I drove a rental unit recently with a four-cylinder engine and it was slow and noisy, not a good combination. The V6 is a better choice but it still doesn’t compensate for the overall feel. 2009 Dodge Ram 150 Laramie – I guess I’ll have to drive a 2010, Motor Trend’s “Truck of the Year.” This truck rode like it needed a full half ton in the bed to settle it down. Too bad, the truck itself is full of features that would make it a contender. 2009 Ford Escape Hybrid – One of my favorite hybrids; a decent size, easy to get in and out of, excellent fuel economy, especially for the size and utility. Ford gets high marks for building a real world hybrid. 2009 Honda CR-V 4WD – Honda has a habit of building reliable, useful, economical vehicles. As a small SUV there is none better than the CR-V.
2009 Infiniti G37S – I once heard another journalist say something along the lines of, “with a car like the G35 (the older version of the G37), why would anyone buy anything else?” I can imagine a few reasons (one being I can’t afford it) but the point is well taken. The G37S is an excellent sports sedan. 2009 IS350 Convertible – If you want a convertible without all the hassle of a fabric top the IS350 Convertible, with its retractable hardtop, is the way to go. Sure it’s pricey but it is a Lexus. 2009 Lexus IS-F – This is the Lexus almost no one has heard of, which is too bad if you want a ton of torque under your right foot. Stuff a 5.0-liter V8 where a V6 usually resides, beef up the brakes and suspension and you got a car that would scare most Lexus owners. YeeHaw! 2009 Mitsubishi Outlander – Nice small SUV from a company that almost isn’t anymore. 2009 Nissan Murano – Stylish mid-size SUV from the people that build one of the best V6s known to man. Look good while you slog through the mud and snow. 2009 Subaru Impreza WRX - The STi’s little brother. Hey Subaru, I’m still waiting for a STi. Oh that’s right, my ZIP code doesn’t warrant it. 2009 Suzuki Equator – Okay, so here’s a Nissan pickup truck with a Suzuki name. Why? Are there really people out there who say, “I have to have a Suzuki pickup”? 2009 Suzuki SX4 Sedan – The SX4 Sedan is a well built car. It just doesn’t do much to excite me. 2009 Camry Hybrid – Personally I think full-size (or mid-size) hybrids are the way to go if you need the room and can only afford one car. The Camry Hybrid has all the good points of a non-hybrid Camry with better mileage. 2009 Toyota Venza – Think of the Venza as a Camry version of the Matrix. As the Matrix is to the Corolla, the Venza is to the Camry; kind of a stylized station wagon (otherwise known as a crossover). In its rush to be all things to all people Toyota may have overdone it, eight car lines is maybe just too many. 2009 Yaris 5-Door – I like the Yaris 3-door but I question the need for the 5-door. Great commuter car though. 2010 Acura RDX – A CR-V size SUV with a turbocharged four-cylinder and all the accoutrements that Acura has to offer. Nice vehicle but I only averaged 22 mpg on a mostly highway route, which is not great. 2010 Acura TSX Tech – Came with a V6, the same basic V6 that is in the Accord Crosstour but here it gets great mileage and has more power. Excellent driver’s car but I just can’t warm to the styling. 2010 Ford Flex EcoBoost – Can this be possible? Twenty-two miles per gallon on the highway from a huge “crossover,” almost the equal of the none EcoBoosted 3.5-liter V6but with 355 hp. The Flex itself is a great family vehicle. 2010 Infiniti QX56 – Is there still a market out there for huge SUVs with a thirsty V8? As nice as the QX56 is, it just seems to have no point other than to thumb its nose at sensibility. 2010 Kia Forte – One of the surprises of the year; a good looking, well built, roomy compact that rivals offerings from Honda and Toyota at a lower price. 2010 Mazda 6 – I drove a four-cylinder version and it was just about perfect. This is a car that should be considered when you’re looking a Camry or Accord. 2010 Mazda 3 – Another fine offering from Mazda, this time in a package I am not keen on – too angular. 2010 Nissan Rogue – Finally I am getting used to CVTs. The Rogue is one of the small SUVs I love – perfect size, easy access, and good fuel economy. 2010 Subaru Outback – I love Subarus but for some reason the new Outback just left me cold. I can’t put my finger on it, it had everything that a Subaru fan would ever need or want. Still, it is a Subaru. 2010 Suzuki SX4 Sportback – It’s strange how the Sportback can be so different than the Sedan. After all they are basically the same car. Yet the Sportback is fun to drive. This is it, all the cars I drove in 2009. 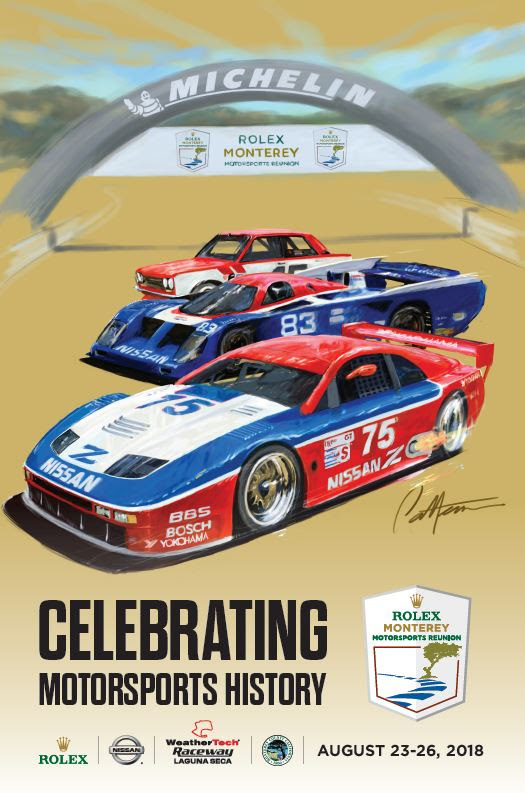 It’s a good list with great cars. God I love this gig.